Capture the spirit of old nautical culture and the heart of your sailor with the Union Jack Pond Yacht. A detailed replica complete with an inlaid wood strip deck, is the perfect den or bedroom accessory to call to mind the golden age of sailing. 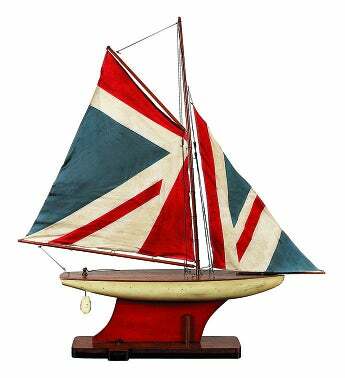 Capture the spirit of old nautical culture and the heart of your sailor with the Union Jack Pond Yacht.